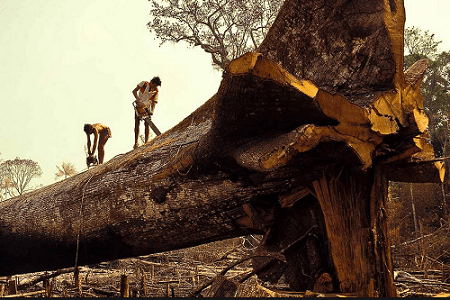 Deforestation and Its impacts on nature & natural resources. 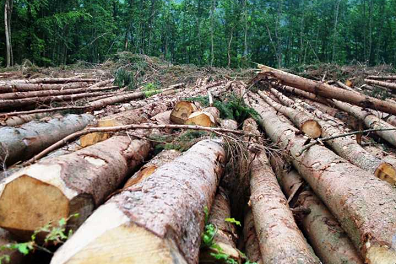 Deforestation harms nature and natural resources. Deforestation is the conversion of forest to another land use or the long-term reduction of the tree canopy cover. Deforestation — Defined as the conversion of forested land to other uses, or a permanent reduction of canopy cover — has attracted increasing international attention in recent years. Reduction of the tree canopy above the original threshold of 10 % is classified as forest degradation. Forest degradation concerns the changes within the forest class which affect the forest stand, quality or site negatively. Reduction of the tree canopy above the original threshold of 10 % is classified as forest degradation. 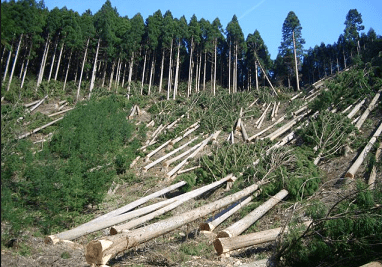 Forest decline can be defined as the two processes of deforestation and forest degradation, which have both common and specific drivers, and which may or may not be spatially and temporally interrelated and will differ between regions. Deforestation — Defined as the conversion of forested land to other uses, or a permanent reduction of canopy cover — has attracted increasing international attention in recent years. Annually, the rate of global deforestation is around 13 million hectares, most of which occurs in the developing world. Forest loss in Africa is particularly troubling, however: two-thirds of the continent’s population depends on forest resources for income and food supplementation, and 90 percent of Africans use fuel wood and charcoal as sources of energy. Despite, or perhaps because of this reliance on forest resources and non-timber forest products, deforestation in Deforestation is the conversion of forest to an alternative permanent non-forested land use such as agriculture, grazing or urban development. The agents of deforestation are those local farmers, commercial farmers, ranchers, loggers, population growth, shifting cultivation, pollution, mining, timber collection, firewood collectors, infra-structure developers and others who are cutting down the forests. 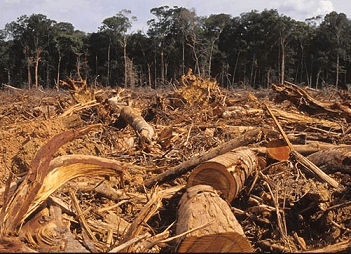 Causes of deforestation are the forces that motivate the agents to clear the forests.